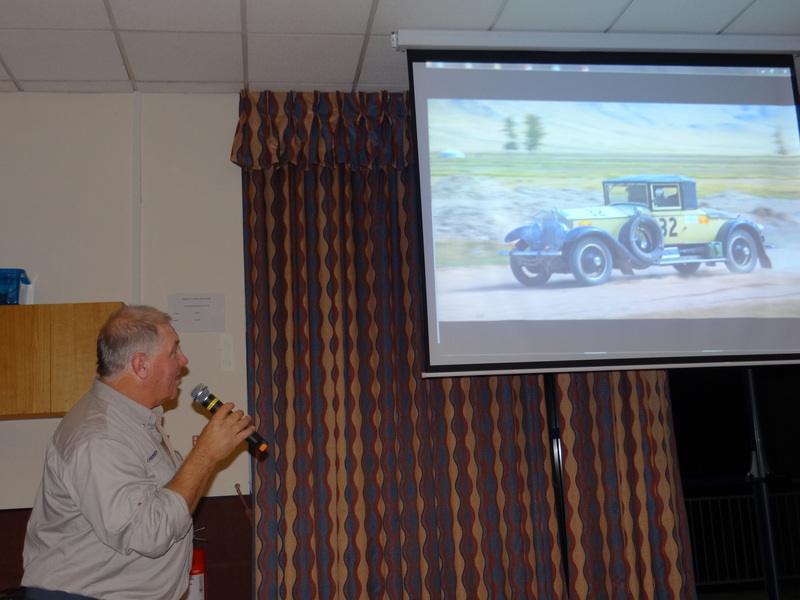 Roger Hunt kept the members enthralled with his presentation covering the Peking to Paris rally. Starting with a short video showing the harshness of the terrain Roger continued with a short talk. Following a short break the evening continued with a slide show (magnificent photographs) with Roger talking over the sound track. The duration of the rally is around eight weeks and is a very hard trip. Very few and far between are the hotels, mainly the competitors slept under canvas at the side of the road. Food was supplied by a team of caterers, many of them Russian. Roger related one particular story of one driver having many breakdowns and shipping in spare parts to the original value of his vehicle. It was apparent to the members in the room that you needed extremely deep pockets to take part in this event. A most interesting presentation.